Directions: From Sapphire, NC, drive north on US 64 for two miles. 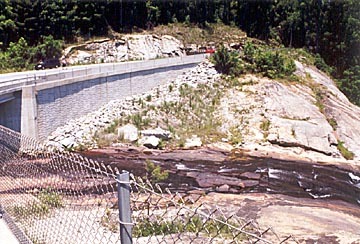 Look for a large masonry bridge at the base of a hill and the dam to the left. Cross the bridge and park in the graveled area on the left side. 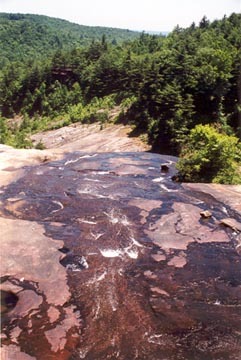 Carefully cross US 64 to glimpse the falls on the south side.